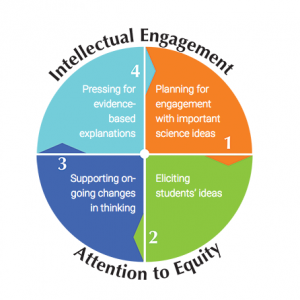 This NGSS Assessment Development Template was developed in alignment with Creative Commons by the Research + Practice Collaboratory, 2016. (Some content on this website may require the use of a plug-in, such as Adobe Acrobat Viewer.) 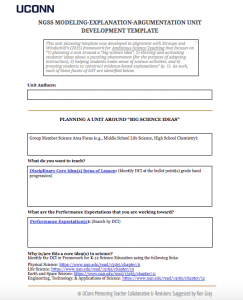 These five steps were designed to help teams develop assessment tasks. 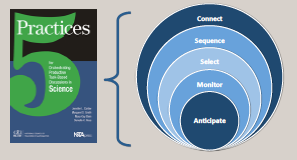 Step 1: Define what you will assess by analyzing relevant sections of A Framework for K-12 Science Education and crafting learning claims. Step 2: Brainstorm Possible Scenarios for Eliciting Student Understanding. 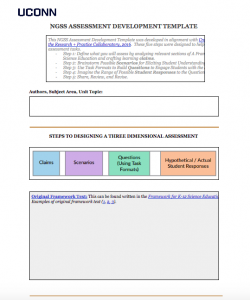 Step 3: Use Task Formats to Build Questions to Engage Students with the Scenario. Step 4: Imagine the Range of Possible Student Responses to the Questions. Step 5: Share, Review, and Revise.